Chinese Anarchists were inspired by the ideas of Pierre Proudhon, Michael Bakunin, Peter Kropotkin and Elisée Reclus. 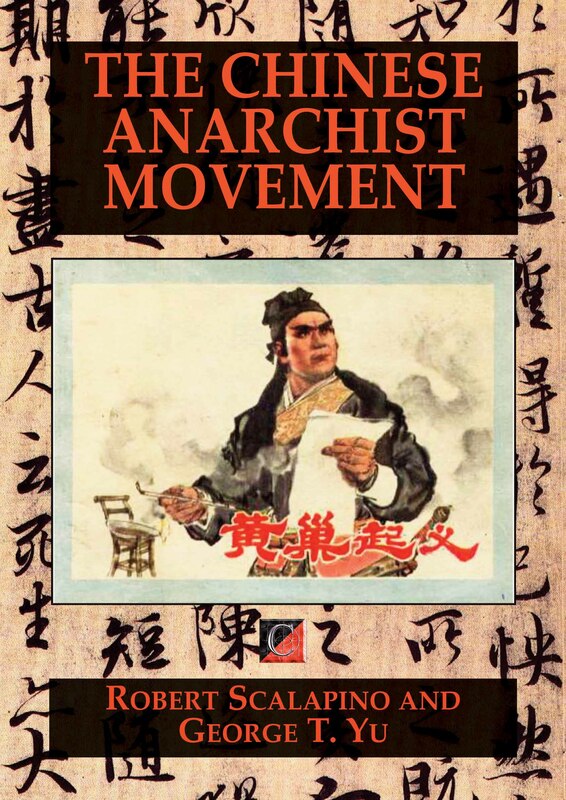 Many were exposed to Anarchist ideas while they were students in Europe and Anarchist books were soon translated into Chinese and Esperanto, a popular language among Chinese students. They used the term “Anarchist Communist” interchangeable with the word “Anarchist.” The Chinese words for Anarchist-Communist (Wu-Zheng-Fu Gong-Chan) literally meant “Without Government Common Production” and in no way implied Bolshevism or Maoism. On the contrary, theirs were the Libertarian Socialist ideas of the First International which reflected the traditional Chinese Anarchistic teachings of Lao Tzu while Maoism reflected the authoritarian bureaucracy of Confucianism. Like the word “communism”, the word “collectivism” also has a different literal meaning in Chinese than when it is commonly used in English. In Chinese, the word for a “collective enterprise” (Ji-ti Qi-ye) literally means an assembly of people in a bureaucracy (a “tree of people”) — very different from our understanding of Michael Bakunin’s Collectivism or a workers’ collective — more like Bolshevism or Fabian Socialism — The Chinese Anarchist Shih Fu substantiated this translation by identifying Karl Marx as the father of “collectivism” in his writings . Historically, Marxism was unable to make inroads into China until after the Russian Revolution of 1917 when Lenin’s followers, bankrolled by the Bolshevik government, began their attacks on Anarchists in Russia and neighboring countries. This book describes some of the early history of Chinese Anarchism up to the period after the Bolshevik counter-revolution when Russia began to send Marxist-Leninist missionaries like Chou En-lai to try to try to infiltrate and take over the student movements in Europe. It includes some of the ideological debates which ensued between Chinese Anarchists and their Marxist-Leninist adversaries. 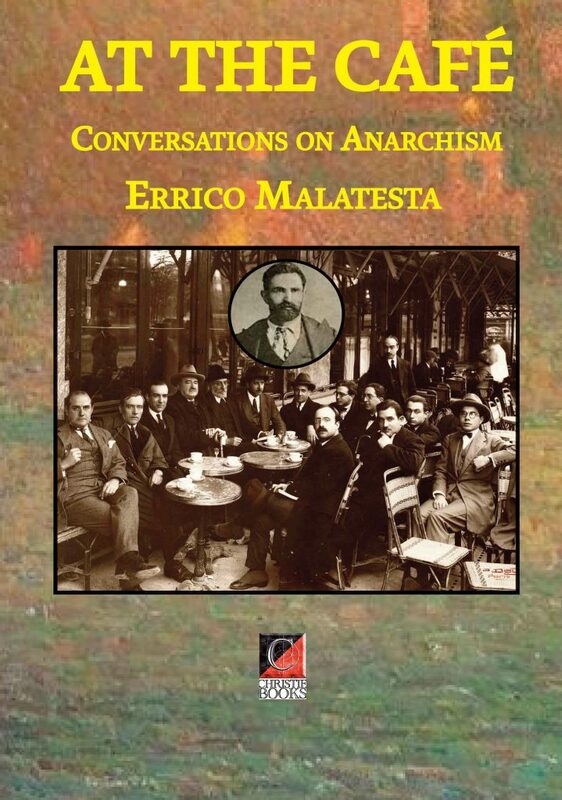 In 1897, Errico Malatesta, on the run from the police, was a regular visitor to a cafe in Ancona, Italy. He had shaved his beard, but was still taking a risk, especially as it wasn’t a known anarchist café; it had a variety of customers, including the local policeman. The conversations recorded here between a small group of people at a café became the basis for the dialogues that make up the book, which remained unfinished until 1920 — several wars and revolutions later! An excellent primer on anarchism, it answers, in a commonsense and matter-of-fact style, most questions people ask about the arguments for and against anarchism. Translated and introduced by Paul Nursey-Bray, this is a classic defence of anarchism that anticipates the rise of nationalism, fascism and communism. John William Ward’s essay on Alexander Berkman’s Prison Memoirs of an Anarchist originally appeared in The New York Review of Books in 1970. It was composed against the background of the 1960s, with an eye to the rioting in America’s inner cities and to the increasing violence of the opposition to the Vietnam War. But Ward also addresses a larger issue: the seemingly inescapable presence of violence in American social life. His reflections on that subject remain as pertinent today as when they were written. On July 23, 1892, Alexander Berkman, an immigrant Russian Jew, idealist, and anarchist, forced his way into the Pittsburgh office of Henry Clay Frick in order to kill him. The assassination was, in the anarchist tradition, to be an attentat, a political deed of violence to awaken the consciousness of the people against their oppressors. Frick, manager of the Carnegie steel works while Andrew Carnegie was on vacation in Scotland, had crushed the Amalgamated Association of Iron and Steel Workers in the infamous Homestead strike, which ended in a fatal battle between Pinkertons and strikers. Berkman was there to continue the struggle between the workers and their capitalist oppressors. He failed. He failed to kill Frick. He failed to arouse the workers. 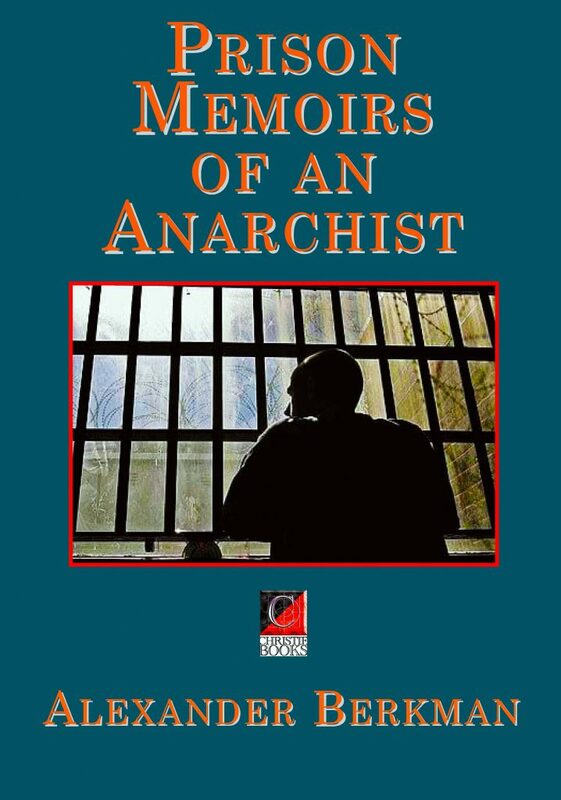 The outcome, instead, was a book, a classic in the literature of autobiography, Prison Memoirs of an Anarchist. 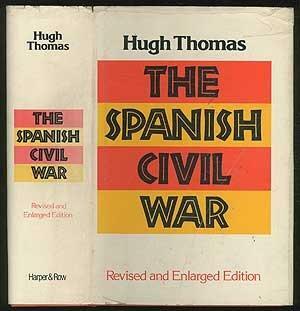 Although the outbreak of the Spanish Civil War in July 1936 was followed by a far-reaching social revolution in the anti-Franco camp—more profound in some respects than the Bolshevik Revolution in its early stages—millions of discerning people outside Spain were kept in ignorance, not only of its depth and range, but even of its existence, by virtue of a policy of duplicity and dissimulation of which there is no parallel in history. —BURNETT BOLLOTEN, in “The Grand Camouflage”. Review by Gary Hayter: The Russian anarcho-syndicalist activist and theoretician, G.P. Maximov (1893 – 1950) used to bemoan the fact that so few militants in the libertarian movement bothered to read the classics of anarchism, and as a result often found themselves out manoeuvred by their political opponents. Today we have very little excuse for not studying the works of the founders of the libertarian tradition. Those of Peter Kropotkin, for example, are readily available in affordable English translations. These include “Mutual Aid”, “Fields, Factories and Workshops”, “The Great French Revolution” and perhaps his most widely read book, “The Conquest of Bread”. It is this work I want to take a closer look at now. 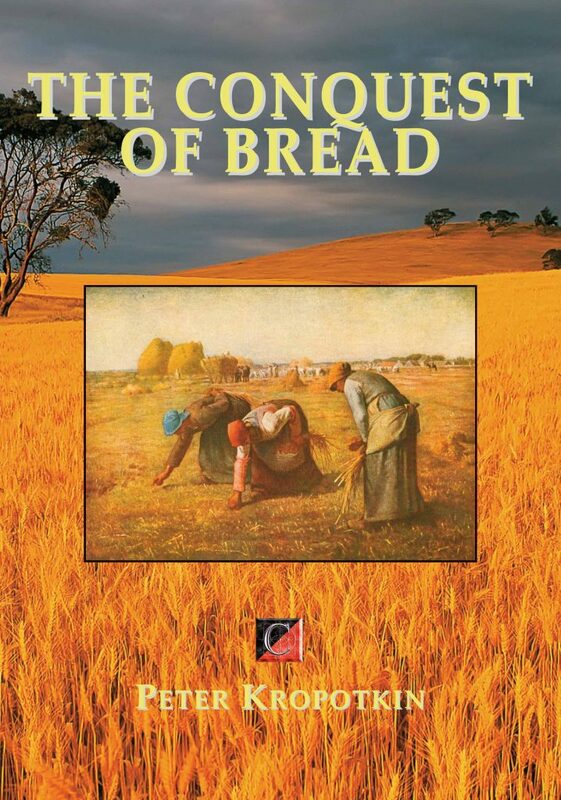 “The Conquest Of Bread” first appeared in Paris in 1892, although Kropotkin had expounded his theories a decade earlier in the pages of the anarchist journal “La Revolt”. 1906 saw its first appearance in English when it was published in London. The book is similar in many ways to his “Fields, Factories and Workshops” (1912), which was also a compilation of articles written between 1888 and 1890. Both books are supplemented by a large number of contemporary statistics which are used to bolster the arguments Kropotkin is presenting. These may be skipped over by the modern reader who will be more concerned with the ideas being put forward.